Pictures taken in Havana, Cuba, during our second Phillips Collection trip to visit the 11th Havana Biennial, May 21–28, 2012. 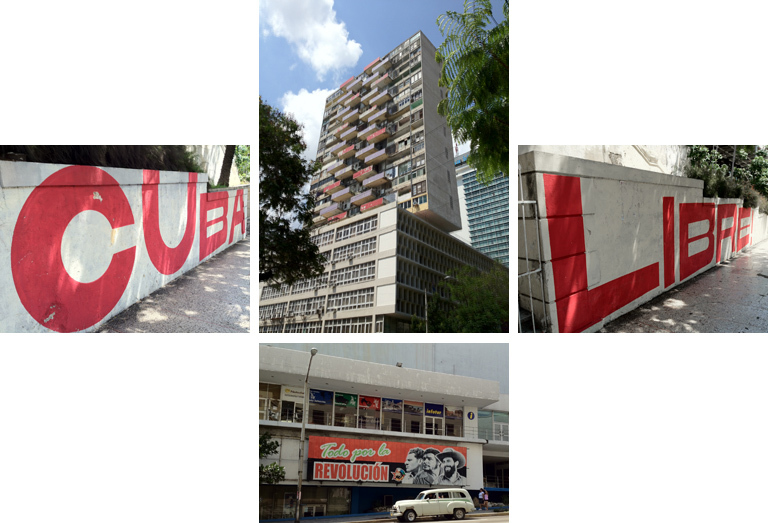 The (pre-revolution) building in the center was designed in 1958 by the Cuban architect Antonio Quintana Simonetti. It houses the Ministerio de Salud Pública, the Ministry of Public Health, as well as murals by Afro-Cuban surrealist painter Wifredo Lam and the Cuban revolutionary artist Raúl Martínez.